Public sector software supplier SFW wanted to launch a ready-to-go intranet product. SFW are technical wizards who specialise in complex public sector projects. They spotted an opportunity to create an off-the-shelf intranet product to meet lower budgets and expand their reach. Most intranet products feel like the poor relation to a flagship digital experience. As they’re ‘just internal’, less eort seems to be lavished upon them leading to a poor user experience. We wanted to change the game. A quality interface creates a feeling of value. 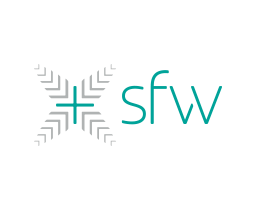 We worked with SFW to provide Product Branding, UX and Design services for their new intranet product. First up: name and brand development. We then defined the core marketing messaging. 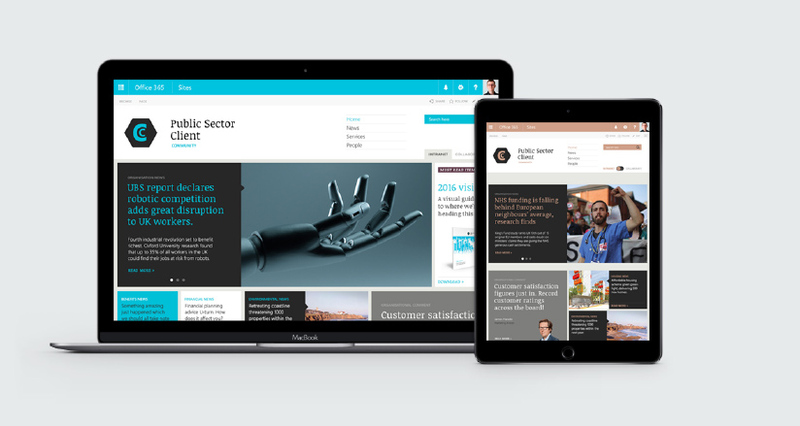 Introducing Plaza Intranet. The place for your people. Plaza is a name with bright, warm connotations. A social place that’s nice to hang out. It invites social interaction and information sharing. Exactly what a modern intranet should replicate. 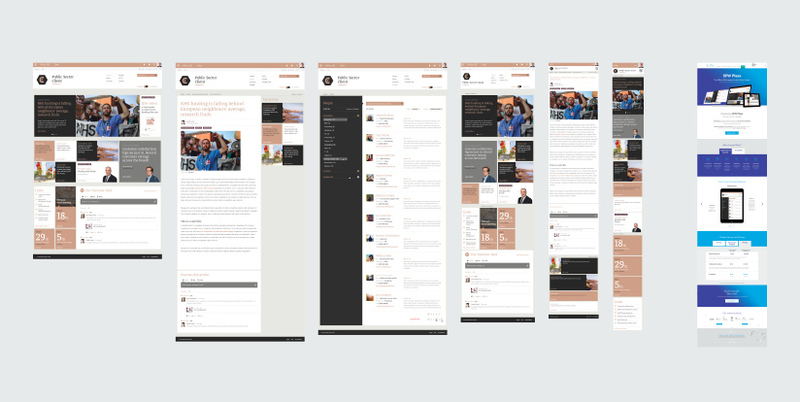 This involved translating the functional wireframes into a sellable interface that that fits the parent platform (Office 365) whilst being distinct with its own identity. It had to be modular, easily customisable (as this product needed to be branded to the end customers’ identity) and, of course, fully mobile friendly. 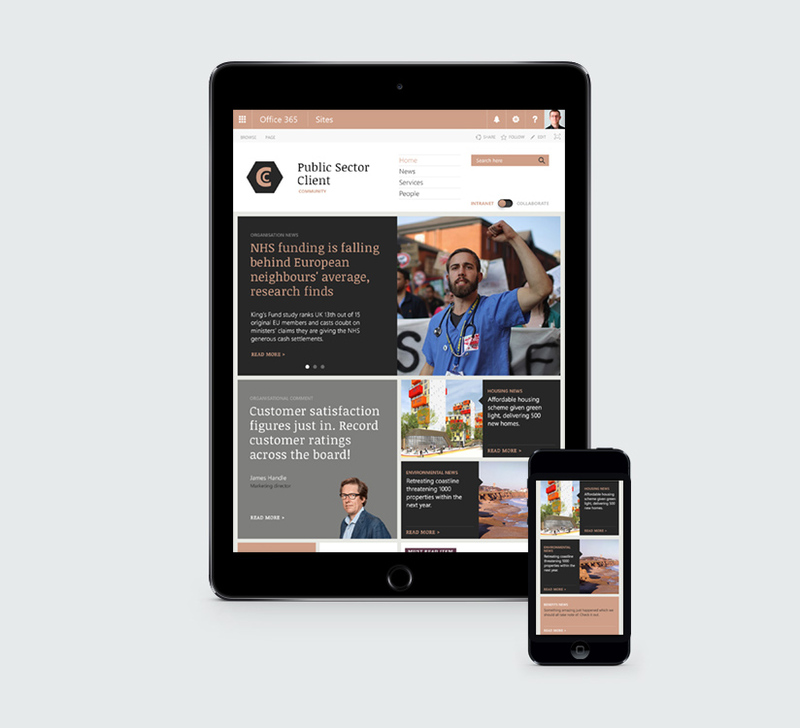 The interface takes inspiration from high quality news sites. After all, this is a place your people go everyday to find out latest information, so it needs to be an appealing destination. One that stands up well next to the best of the other information and newspaper sites they visit everyday. So many intranet sites have ill-conceived interfaces. Not Plaza. We designed a launch page that presented the product’s benefits to its two core audiences. 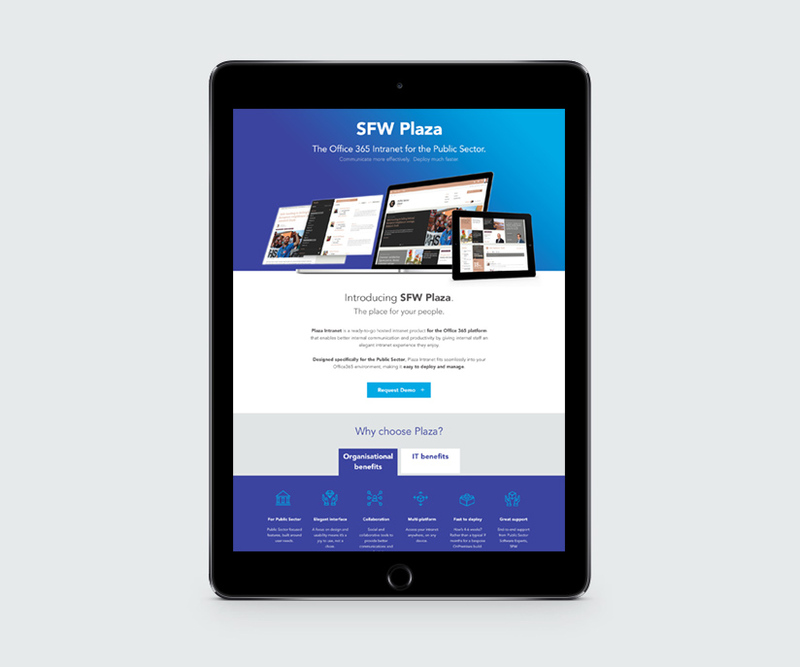 This needed to fit into SFW’s existing site, yet have a feel that set it apart from the existing consultancy and software services – this was a new proposition after all. We did this by extending the brand colour palette and graphic elements, adding a new ‘product range’ colour gradient that complemented the existing brand but also stood apart. "We approached Hello You when we were looking for a strategic partner to help us with the design and marketing of our new product, SFW Plaza. Hello You had a brilliant process and helped us get a great looking product to market. I'd definitely recommend Hello You to anyone looking for a digital specialist to help create a world leading product."